Your source for the best laundry machines! Switches and Setting – There is a switch within the lid that detects when the door is open or closed. The washing machine will not run if the lid is open. Make sure the switch is in good condition. If it is broken, it could be preventing the machine from spinning. Next, check the speed selector switch to make sure that it is not positioned between speeds. Drain Hose – If your commercial washing machine is not draining properly, a clogged drain hose could be to blame. Remove the hose and check for clogs. You should also ensure that there are no kinks in the hose that could be causing a blockage. Power – The first thing you should do is make sure that power is getting to your washing machine. Use a multimeter to check the voltage of the outlet. If there is no electricity flowing into the washing machine, check to make sure your circuit breakers aren’t tripped. The hotel industry is fast-paced and competitive, so a responsible hotel owner is always looking for ways to edge out the competition. One of the ways you can set yourself apart from other hotels in the area is to maintain the cleanest hotel. 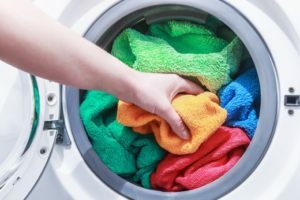 When it comes to keeping a hotel in top shape, having efficient laundry equipment is vital. The last thing you need is for your laundry equipment to malfunction. When you run a busy hotel, having the sheets, towels, and linens clean for every room before check-in is essential. When your laundry equipment is running efficiently, you can get the quick turnaround times you need to ensure that every room is up to your highest standards for every guest. When you are looking into starting your own business, you may be overwhelmed by the options you have. 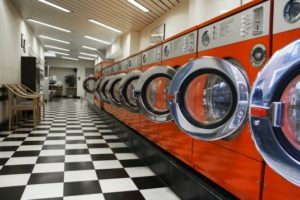 Investing in a laundromat is a great decision for a variety of reasons. Not only are you providing a service that everyone needs, but it requires minimal effort on the part of the business owner. 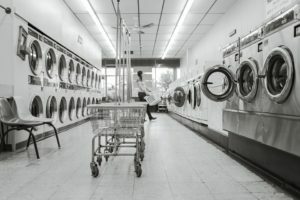 Whether you are starting up your laundry business, or are in need of new commercial washers and dryers in Florida for your on-premises laundry, it pays to lease equipment from Commercial Laundries of West Florida. Our sales team is highly trained and focused solely on your needs. 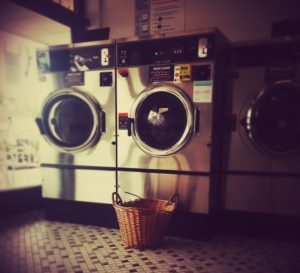 When you work with us, we make sure you get the right equipment to suit your needs, from laundromats to multi-family housing units, to hotels. We offer cashless payment programs as well as other flexible financing options, so you can get what you need for a competitive price. We can work with your budget to find the right equipment for you. 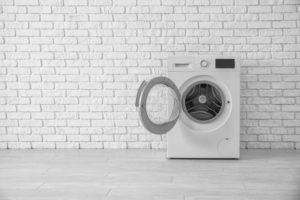 In our last post, we identified the most common issue that occurs in commercial dryers (no heat) and walked you through the various causes of this issue. Here are two additional problems you may encounter and what to look for when they occur. The Circuit Breaker – With 220V machines, you need to make sure you have all legs of your power working properly. The Neutral Leads – This issue may be the result of a bad power cord, especially in 120V machines. The Control Fuses – Make sure all of the control fuses are in working order. The most common problem that occurs in commercial dryers is a lack of heat. The drum continues to turn, but the clothes just won’t dry. The most common problem is a bad ignition, depending on what type of ignition system the dryer runs on. Glow-Bar Ignitions – A glow-bar ignition works by sending electricity through a heating element until it is hot enough, which signals the gas valve to turn on. Check the glow bar when the dryer is in operation. If it doesn’t begin to glow red hot, you will need to check the voltage. When it comes to the longevity of your commercial laundry equipment, preventative maintenance is essential. 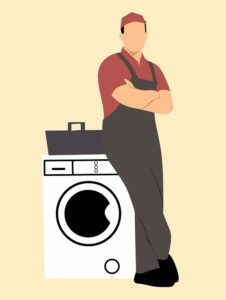 Being familiar with the inner workings of your commercial washers and performing regular maintenance tasks will keep them in excellent condition, so you avoid a costly replacement. 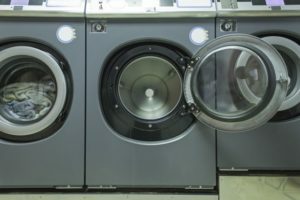 Here are some tips for maintaining your commercial washers in Florida. Clean the Screens – To keep your commercial washer in top shape, we recommend cleaning or replacing your water filter screens on a regular basis. These screens can be blocked by accumulated particles which can slow down water flow to the machine. 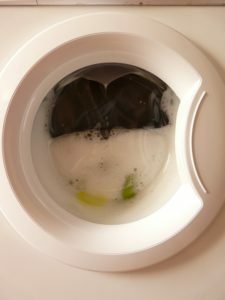 Use the Right Cleaner – Always use the manufacturer-recommended cleaners to prevent damage to the machine or the clothing that is washed in it.